Harsh winter weather can substantially damage your roof. 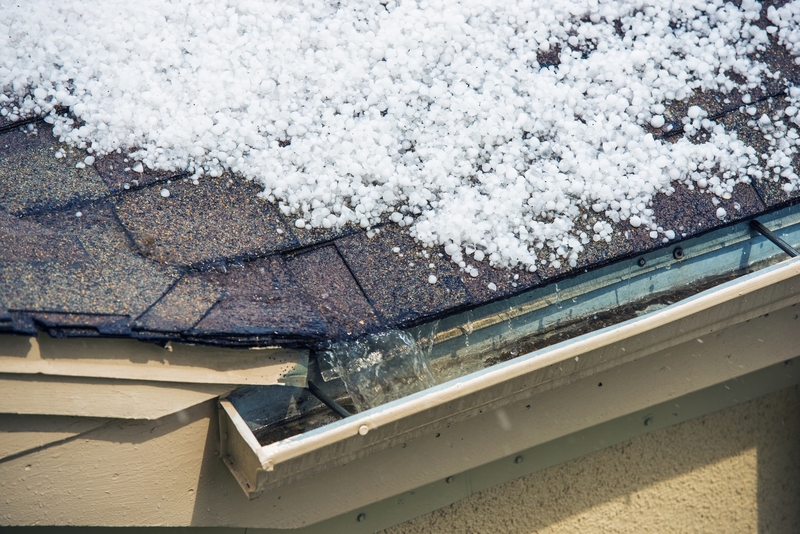 If you’re not careful, this damage—whether caused by snow, high winds, or hail—can lead to further issues, including water leaks within the home and decreased comfort. While you may need to schedule storm damage roof repair on occasion, the following steps will help prevent serious issues. Having your roof inspected is an effective way to prevent further damage from occurring. For instance, a roofing contractor will be able to identify loose or damaged shingles, which can let water seep through your roof and into your attic. Regular inspections can reduce the cost of storm damage roof repair, while also ensuring your home remains comfortable throughout winter. Even if your roof is currently intact, a volatile storm can change that in an instant. If you have trees on your property, fallen branches can damage the roof or clog gutters. Gutters allow water on your roof to make its way to the ground below, which prevents puddling and leaks. If you have branches overhanging, make sure they’re trimmed appropriately. Also, be sure to clean your gutters frequently to prevent clogs. An unevenly heated roof can lead to the formation of ice dams. Much like clogged gutters, ice dams prevent water from flowing off the roof, increasing your risk of leaks. You can prevent ice dams from occurring by properly insulating your attic. That way, the roof will be evenly heated, which means water won’t freeze once it reaches a certain portion of the roof. If you need storm damage roof repair in La Crosse County, WI, Interstate Roofing & Waterproofing, Inc. can assist you. Along with their commercial services, they can also help homeowners keep their roofs intact. They can help with minor repairs or full-scale installations for roofs that have outlived their purpose. Call (608) 783-2106 to schedule storm damage roof repair. To learn more about their services, visit their website.